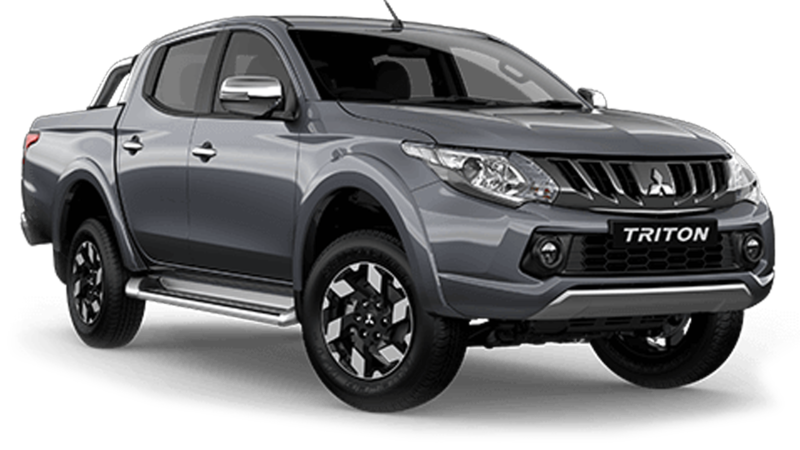 Introducing the Mitsubishi ASX, the Urban Active Sports Crossover that combines the benefits of an SUV with the versatility of a sedan. 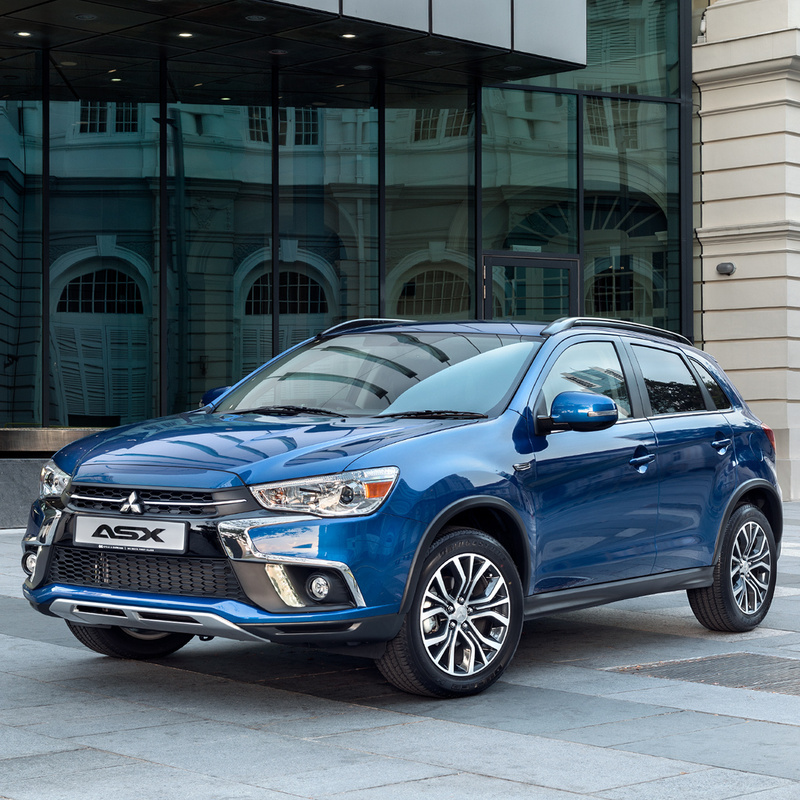 Don’t settle for ordinary with the enhanced Mitsubishi ASX – the Urban Active Sports Crossover. This city-friendly SUV boasts a Dynamic Shield front grille for a more powerful look, and a sleek design that commands attention. Get ready for a driving experience unlike any other in the new ASX. 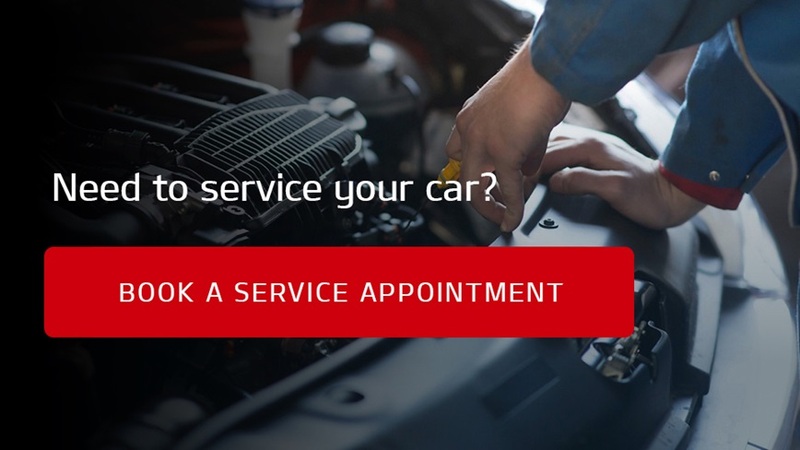 More responsive than ever, the MIVEC (Mitsubishi Innovative Valve timing Electronic Control) system optimises the timing of the intake and the exhaust valve according to engine running conditions. 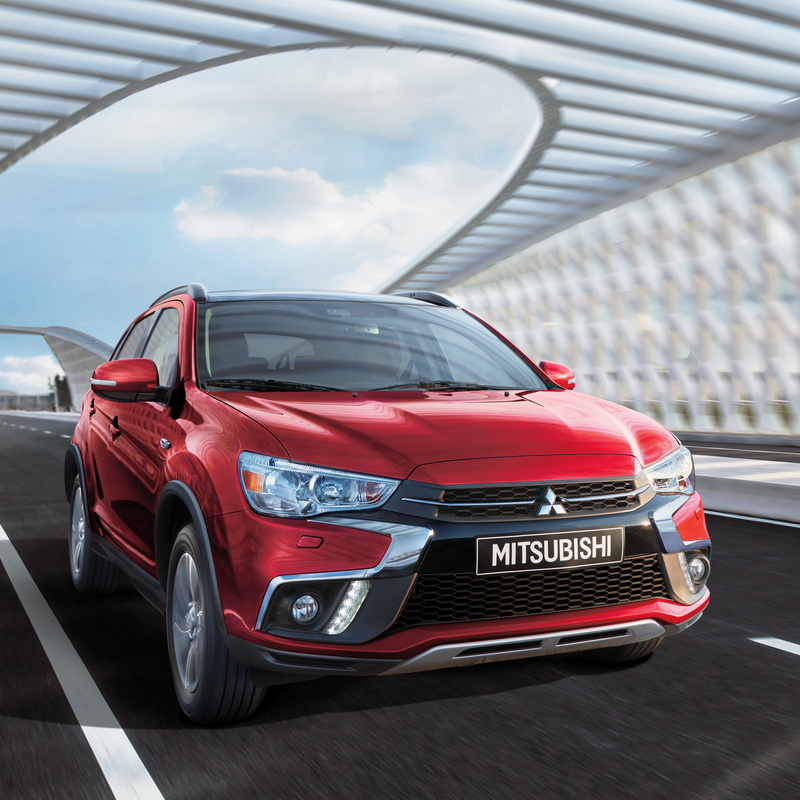 The ASX features MacPherson strut front and multi-link rear suspensions for smooth handling over rough roads. Effortless acceleration and improved fuel efficiency in the ASX are made possible with the pairing of the 2.0ℓ MIVEC engine with the improved INVECS-III CVT (Continuously Variable Transmission). Couple that with the 6-Speed Sports Mode. 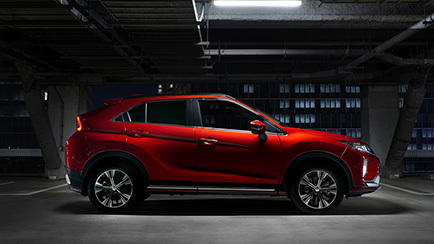 This urban crossover vehicle cuts a lean and mean profile, ready to take on your kind of adventure. Amidst rough or refined landscapes, its dynamic profile endows the ASX with a stylish silhouette. See clearly through all conditions with the front fog lamp and LED Daytime Running Lights. 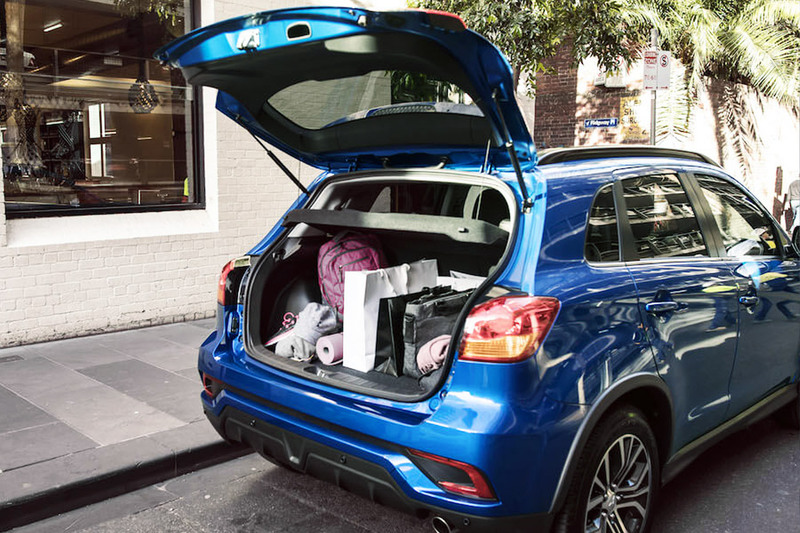 Unload and load with heaps of cargo space that’s accessible with just a touch of the tailgate button when you have your Smart Key in your bag or pocket. The wide tailgate provides easy entry for bulky items and the low floor makes it easy to move heavy cargo in and out. Imagine this: Up to 416ℓ of cargo capacity with five passengers, plus a wide tailgate for bulky items and a level boot floor. The spaciousness will make moving heavy cargo a breeze. Operating the doors is especially easy. Just carry the keyless operation key in your bag or pocket, and you will be able to open the driver’s door or trunk with the push of a button. You can also press the engine switch to start or stop the engine. Mounted within easy reach, the paddle shifters enable sporty control even with both hands safely on the wheel. Using the paddle shifters, you can switch gears easily. For added convenience, the current gear position is clearly displayed on the multi-information display. Take in the view of the road on your trips with the elevated driver’s seat which provides a more upright seating position. Plus, the raised hip point makes for easy, smooth access. Wave goodbye to cramped leg quarters -the ASX allows for improved riding comfort with greater legroom, courtesy of the generous 2,670mm wheelbase. Dusk sensing headlamps automatically illuminate the roads in fading light or when travelling through a tunnel. Beat the rain with automatic rain sensors that activate your wipers at just the right time and speed. Ferry around any combination of passengers and luggage with ease and convenience. Rear seats fold flat down with a 60:40 split to effortlessly accommodate sports gear, prams, luggage, and even bulky bicycles. 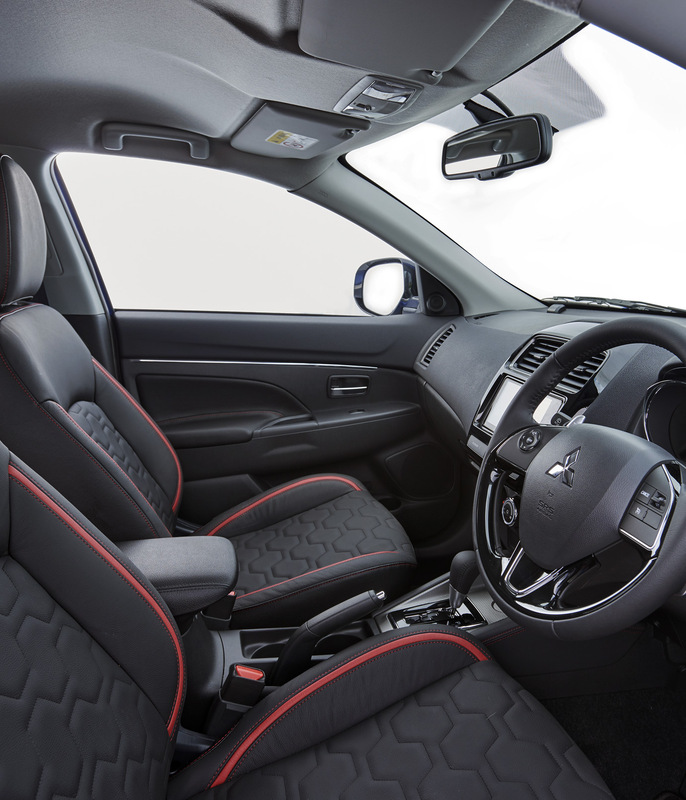 Expect protection from all sides: front airbags, side airbags, curtain airbags, and even a driver’s knee airbag all help to reduce the likelihood of injury in the event of an accident. No more accidental sliding on sharp slopes. When starting on a steep hill, the HSA helps prevent the vehicle from rolling backwards when you release the brake by maintaining the braking force for up to two seconds until you step on the accelerator. Be ensured of a smoother ride with the stability control function. Onboard sensors analyse vehicle motion and identify lateral wheel slippage, while traction control functions on wheel spin and engine output are governed, and braking force is applied to spinning wheels to prevent driving torque loss.